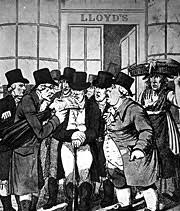 The Importance of Earnest Service » Blog Archive » Service of Celebrating the Worst of the Past: What’s with Lloyd’s of London? « Service of Paying for the Company You Keep: Are Your Clients Worth It? This entry was posted on Monday, March 25th, 2019 at 12:32 pm	and is filed under Harassment, Insurance, Tradition	. You can follow any responses to this entry through the RSS 2.0 feed. You can leave a response, or trackback from your own site. Drinking on the job is a practice which usually gets one fired. If this piece regarding Lloyds has any truth to it, it’s a sorry disgrace. If not, it’s defamatory and a law suit is sure to follow. There’s nothing wrong with drinking, but guzzling at work may compromise, not only the reputation of one’s employer, but the company’s existence in a shark infested field. Given the publisher–Bloomberg–lawyers must have been all over the story to confirm accuracy before publishing it. I too have nothing against drinking however I find it often makes me sleepy which is not what you need to feel when conducting business. The operation shrieks anachronism and inefficiency. Wonder what the impact on the insurance industry would be if they cleaned up the place? 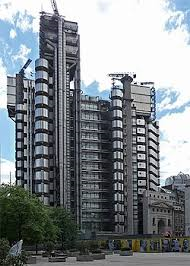 Edward wrote on Facebook: I saw a black and white movie last year about Lloyds of London, amazing simplicity. A friend of mine, George, a local diner owner told me how back in the 1980s the white collar IBM workers would pack the place every day for liquid lunches that would carry-on for hours. He recalls one of the worst days of his business was back in 1992 or so when IBM cut 18,000 workers and his diner turned into a ghost town. The demise of Lloyd’s might be closer than they think. EAB wrote on Facebook: Edward, Not everyone at IBM drinks/drank on the job.. I had several from their math department as bridge partners, and they were as sober as rocks. Over and above that, it’s naïve not to believe that heavy drinkers exist in every line of work from the office dogsbody to the highest exec. 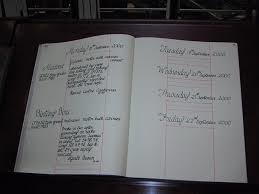 If their habits don’t impair assigned tasks, it might be best to let well enough alone. An out of control drinker can discombobulate any outfit but offices full of them that seems to describe the situation at Lloyd’s is another matter. I wouldn’t want to be the sober one in the group. It would feel quite threatening.